Let's find a solution together, for a better tomorrow. Disability Solutions West Midlands (DSWM) is a Disabled Peoples User Led Organisation (DPULO) which is run by people with disabilities for people with disabilities, many of whom are volunteers. 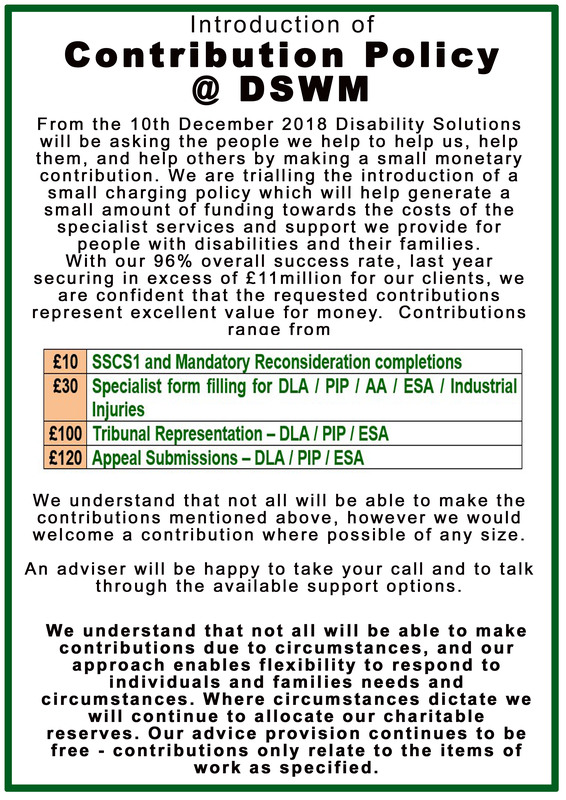 Disability Solutions was formed in 1998 from the merger of three disability groups in North Staffordshire – Disability Advice Line (DIAL), Equal Voices and the Independent Living Centre. We are a registered charity and company limited by guarantee. Our organisation aims to enable people who are affected by disability to fully participate and integrate into all aspects of modern society through the provision of accessible, quality assured client led services that meet the needs of people with a disability or long-term, life-limiting health condition. Offering information, support, advice and guidance to people with disabilities and their families. Whilst helping to ensure that those responsible for service design, planning and delivery are linked with the voices and experiences of people with disabilities across the area. With over 30 years of dedicated experience Disability Solutions, West Midlands supports people with disabilities by providing: Welfare Benefits Advice, Information, Personal Health Budgets, Volunteering, Training, Activities and so much more… Making us the leading pan-disability organisation in Staffordshire. Disability Solutions West Midlands, North Staffordshire Medical Institute, Hartshill Road, Hartshill, Stoke on Trent, ST4 7NY. Charity Number: 1143929.